Welcome to RNTLawFirm.com, the online home of Richard N. Tannenbaum. Richard has been practicing law for more than 30 years having been admitted to the New York State Bar in 1977. Whether its negotiating an agreement or litigating the matter in court, Mr. Tannenbaum brings to bear his vast experience in all aspects of family law on vigorously protecting the interests of his clients while, at the same time, making the process as tolerable as possible. 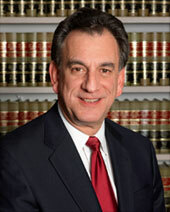 Richard serves Long Island, Manhattan and Queens in the areas of Matrimonial and Family Law. For a detailed list of Richard's services, visit the Practice Areas page. For more information on Richard, visit About Richard and Accomplishments, Associations and Awards. To contact Richard via email, phone, fax or post, visit the Contact page. This site built on Kibu.